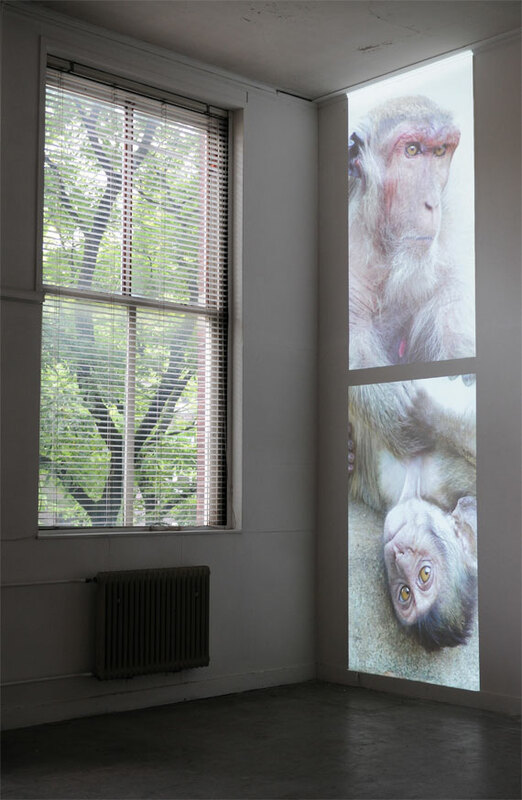 2 vertically projected videos together form a continuous picture of two monkeys. At the top of the screen you can see an adult monkey who keeps an eye on the environment and holds a young monkey in the projection underneath at the same time . The young monkey lies with his head down. Although they are physically separated by the two separate projections, the unity remains.